Essential Skills Upgrading is a non-credit, adult upgrading program that helps adults improve their reading, writing and math skills as well as their employability and workplace skills. 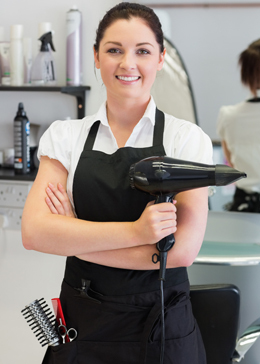 Hairstyling Training helps aspiring hairstylists gain industry professional experience through our Hairstylist Pre-Apprenticeship and Hairstyling Apprenticeship programs to help them reach their full potential in the field. On The Line This unique Youth Skills Link program provides 5 weeks of intensive kitchen training and pre-employment support to prepare individuals to start a career as line cooks, and participants will get paid for 30h per week to attend the sessions. A 6-week work placement follows the training.